White Crane Silat is a Chinese-Indonesian martial art that harmonizes the body. Similar to kung-fu and taiji, White Crane Silat uses flowing, nature inspired movements. Movements integrate barefoot sliding steps, floor work, rolling, breathing, repetition, and partner exercises to cultivate balance, flexibility, strength, relaxation, grounding, timing, awareness, memory, confidence, feeling, intuition and flow. Our intention in training is harmonization of body, mind and spirit. Practice is sometimes meditative, sometimes strenuous; acrobatics, falling, and throwing practice are included for able-bodied students. White Crane Silat is for everyone. Active practitioners range from 7 to 70s. All ages are welcome and encouraged to attend. Classes are tailored to the needs and abilities of participants. Wear loose white t-shirt and pants to class. Come prepared to sweat, and bring a sweater. Maggie Dawson began practicing White Crane Silat in 2003. 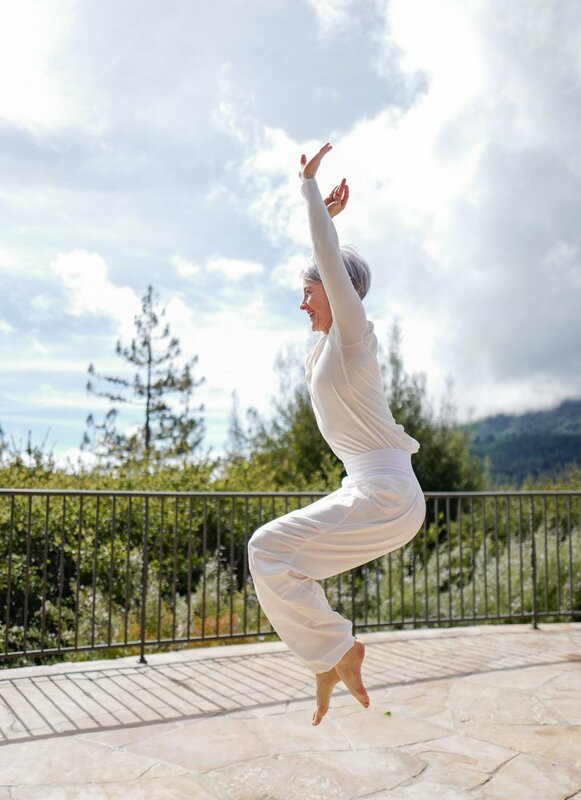 Her physical practices began as a child, in committed dance, gymnastics and later yoga and Spinal Awareness. She has a BA in Physical Anthropology with a focus in human evolution and skeletal functional anatomy. She became a massage therapist and bodyworker, discovered White Crane Silat, and realized she could better help people by empowering them with movement. Maggie traveled to practice with the best silat teachers, in Europe, the US, and ultimately spent 2009-2010 living and training in Indonesia, under the roof and tutelage of the Teacher, grandmaster Suhu Gunawan Rahardja. Maggie has a keen eye for structure and is known to guide students in developing a precise foundation for supported, centered and balanced unfolding. Maggie's intention is to empower each student with expanding awareness and a toolbox of options. Maggie’s full time gig is raising her fiercely powerful little daughter with compassion and calm. She shares her knowledge of silat on the side. Her favorite themes are women’s empowerment, the sam po kun of parenting, and harmonization with Nature. Beyond covering costs, proceeds from Maggie’s teaching practice are donated to the humanitarian organization associated with the White Crane Silat school in Indonesia.